Welcome to the Gibson Pottery website. All clay pieces are fully functional and safe for dishwasher, microwave and oven unless otherwise noted. 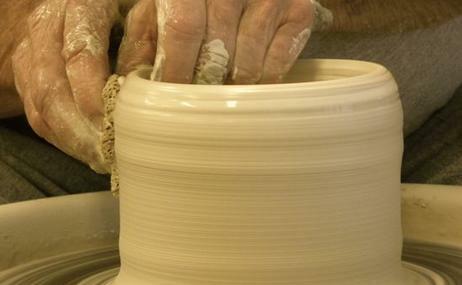 They are all hand formed on the pottery wheel, hand built or a combination of the two. The glass is lead free and food safe. The glass should be hand washed and dried.